We are going to perform extended maintenance on the Public Test Realm. As a result, we will need to bring the PTR offline a little later today, and expect this downtime to last for several weeks. Unfortunately, this means that you will no longer be able to log into the PTR in order to view replays during this time. We hope that content creators were able to use their old replays to create videos over the last few weeks. We're still looking to release a fix in an upcoming patch that will allow replays to remain viewable in future game versions. We've updated the PTR once again, this time to enable the previous Heroes patch version (14.2), and you should now be able to view replays created from October 20 - 26 on the PTR. We've just updated the PTR to enable the previous Heroes patch version (14.1), and you should now be able to view replays created from October 14 - 20 on the PTR. Additionally, we are planning to perform a bit of upkeep today which may prevent you from logging into the PTR for the next few hours. We'll let you know once this work concludes. 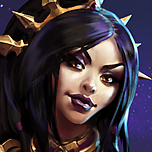 As some of you may already be aware, replay files created in Heroes versions prior to our most recent hotfix patch can no longer be launched using the current version of the game. We’re happy to inform you that we’re actively working on correcting this issue, and should have a fix ready for release with a future patch. 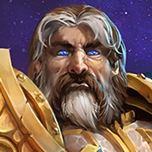 In the meantime, we’ve brought the Public Test Realm back online, and it’s currently running the version of Heroes of the Storm that immediately preceded this week’s hotfix. This means that you can now log into the PTR in order to view any replays created from Tuesday, October 6 - Thursday, October 14. Only replays will be viewable during this time, however, and no matchmaking queues or other game modes can be accessed while logged into the PTR. We are planning to release another hotfix patch next week. This hotfix will once again prevent replays created using previous versions of the game from being launched. As such, we will also update the PTR again so that you can still watch replays created between October 14 and our next hotfix. We love all of the awesome video content that many of you in the Heroes community put together using replays, and understand that it can be frustrating when those files become unusable after a patch. We appreciate your patience until our fix is ready for release. Until then, we hope you can use the PTR to study your replays, create videos, or relive that epic team kill you pulled off last week. Does this mean I can watch any of my replays I have stored now, dating back to beta or will those still be unable to play? "We’re happy to inform you that we’re actively working on correcting this issue"
Is the issue you are talking about the current specific issue of hotfixes breaking the replays, or are you talking about the fact that any update makes all previous replays unusable? Ie. can we expect that eventually replays will just work no matter what updates follow? Right at this very moment, you can use the PTR to view replay files that were created between Oct 6 and Oct 14. You still won't be able to view replays created before then. You are correct in your final line. The fix we're working on will make it so that all replays created after that fix is released will continue to work following future patches. You still won't be able to view replays created before then. Is there a plan to fix this like how StarCraft 2 would let us view old replays by opening a separate version of the game temporarily? Replays have been getting the low end mostly. Also any plans to add a Spectator mode, for both viewing friends and random matches over the globe? Like how you can in Dota 2? Being able to jump and start watching a random groups game. One of my favorite parts of Dota 2's spectator mode. Please, work on something that lets us play old replays. I have kept all my replays from when I first started and would love to watch them again. It's just sad to see memories and awesome clips stuck in limbo. In the very first patch that I experienced back in alpha I right away noticed that I couldn't view my old recordings anymore. I obviously thought "well why the hell not?!" But now! At last! Finally! A shed of light! However, imo there should be an external program to view these outdated files. Just patch it up with the old patches and you're good to go. Not even required to log online or anything. Just select the file you want to watch from whatever patch, and it will replay it in the old-patch environment. I really really want to replay the very first say 20 games I played and see how I played back then. And just imagine how easy it would be to record stuff then too, having a dedicated program only for replays and your recording program running! Or even incorporate a recording feature in it! Anyway, good job with this new feature! Many players from China complain they cannot watch old replays and epic moments in them. That's bad for promotion. It would be great if player can choose version patches to download. Does this work in EU too? I couldn't find any mention of this there. Me and some friends tried Team League yesterday and we want to look at those games. But even using the PTR I can't get the files to work. And yes, I have copied over the replays to the correct folder but it says the version required to play them is not available. Hasn't the PTR been updated with the previous (pre oct 20) patch? It should work for EU as well. I actually just now got word that we added the previous hotfix version (14.1) to PTR, so replays created from October 14 - 20 should now be usable there. Finally, we're going to do a little PTR upkeep today, which may cause it to be unavailable for the next few hours. If your Oct 14-20 replays still don't work after this work concludes, please let me know. 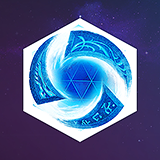 Spill the beans about the PTR patch that just happened, please? :) Just the replay changes or more? Great! Glad they're working for you now. Thanks for letting me know. Just the replay changes this time! edit: Nevermind! It works now. PTR updated. So... I cant watch a replay from patch 14.1.38500 ? will I be able any time soon? Unlock all players owned heroes' skins and mounts.